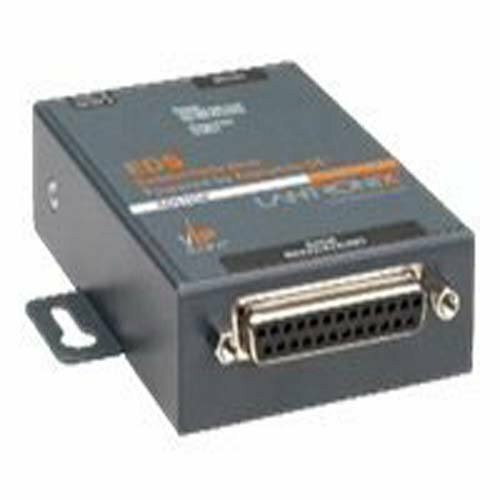 The EDS1100 is the unique, hybrid Ethernet terminal/multiport device server which allows remote access to and management of virtually any IT/networking equipment or edge device such as medical equipment, POS terminals or security equipment. Evolution OS, With AES, SSH and SSL built in, provides data-center grade protection so each networked device carries the same level of security as corporate data center equipment and provides robust defenses to hostile Internet attacks. The EDS also includes Lantronix patent pending VIP (virtual IP) Access technology, which allows for seamless integration with the ManageLinx remote services enablement platform.